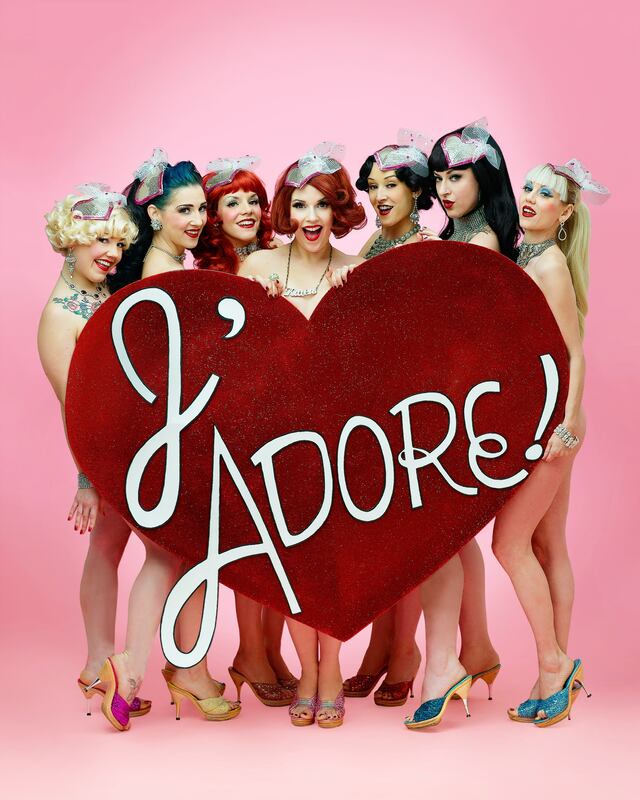 The Atomic Bombshells celebrate the third year of Valentine’s spectacular J’Adore! 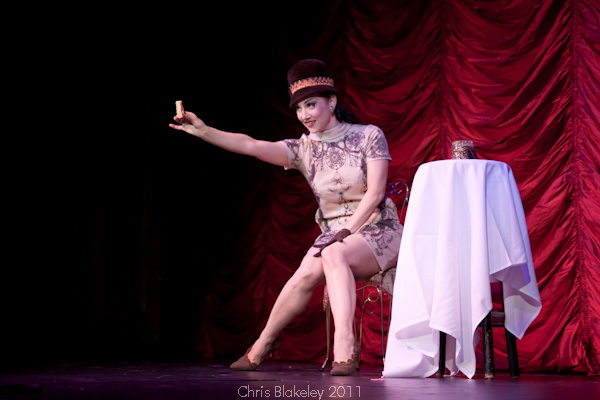 at the Triple Door February 12-13. In what is arguably their best production, The Bombshells ruminate on the many forms of love in roughly a dozen imaginative numbers. The bizarre signature act features a couple of cherubs in their skivvies poking at Honey D. Luxe (aka fashion designer J.Von Stratton) who is barely visible in a monstrous balloon ensemble which converts to an amazing sweetheart of a dress. Honey D. Luxe in the mother of modern balloon dances. Ben DeLaCreme's take on "Sugartown"
WHEN: February 12th and 13th, 7pm(17+) and 10pm(21+). Special Guest Star BEN DELACREME on Feb 13th! ~ by angrytruffle on 01/30/2011. You certainly are creating a fantastic blog. I really enjoy your posts! Thanks for all your support, and see you at the show! I saw this show last night and it was just super! It’s a slick, satisfying, high quality production!